Ein psychoanalytischer Versuch. 7. 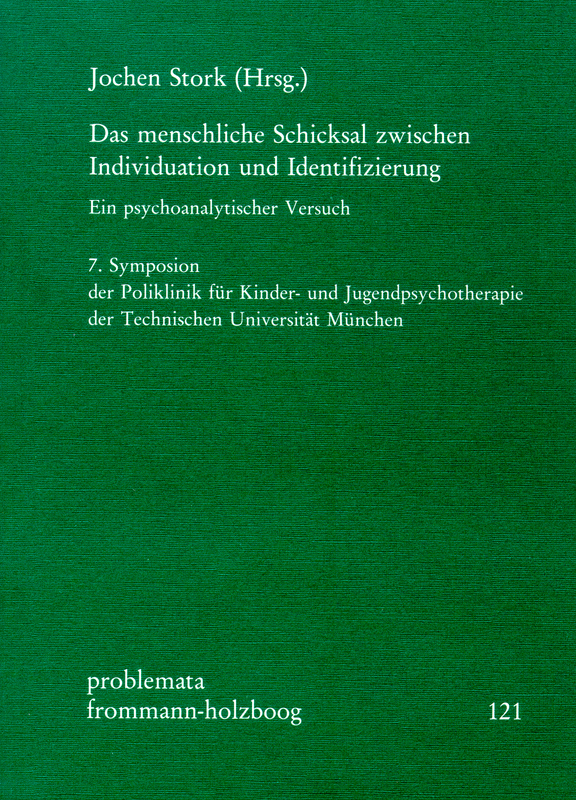 Symposion der Poliklinik für Kinder- und Jugendpsychotherapie der Technischen Universität München. With contributions by Colette Chiland, James M. Herzog, Serge Lebovici, H. Leupold-Löwenthal, Heinz Müller-Pozzi and Jochen Stork. If the theme of a symposium is: »Human destiniy between individuation and identification«, it can be rightly assumed that the phenomenon of individuation is the central focus of reflection. Individuation has been a primary principle of human existence in the area of philosophy but has received little consideration in psychoanalysis as of yet. The phenomenon of individuation should be taken up within a relationship of contrasts within which human singularity and particularity receive their meaning. It should dela with the difficult relationship that individuation and identification form together. Finding or not finding a solution to this conflict is crucial for the destiny of every individual. Colette Chiland: Das geschlechtliche Schicksal des Menschen.